Fabio Comano is fulltime faculty at San Diego State University where he teaches multiple courses in Exercise Science, including Exercise and Aging; serves as a faculty instructor for the National Academy of Sports Medicine (NASM); scientific advisor for OrangeTheory Fitness (OTF), Stroops and Turbostrapp; and a master instructor and workshop developer for Core Health and Fitness (Stairmaster, Nautilus, Startrac and Schwinn). 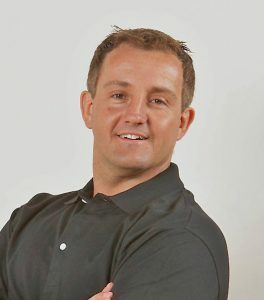 Previously, with ACE as the certification manager and exercise physiologist, he was the original creator of ACE’s Integrated Fitness Training (IFT)™ model which serves as the basis for their entire personal training credential and was the developer of all their live educational workshops. His prior experiences include serving as a Division I Collegiate Head Coach, a University Strength and Conditioning Coach; and wellness manager – opening and managing clubs for Club One. He is an accomplished speaker, presenting at numerous national and international conferences each year; serves as a media spokesperson for various organizations; and is an accomplished writer, authoring over 2 dozen articles, text book chapters and books.